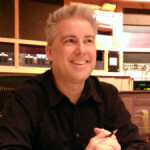 Lance Hayes is an award winning composer working in media, advertising, television, and video game soundtracks. Some of his latest projects include composing and producing music for “Nike+ Kinect Fitness”, the Stranded Music for the mega hit video game “Gears of War 3″, music for “Xbox Fitness” and scoring the original soundtracks to the sensational “Forza Motorsport” series including the Xbox One launch title “Forza Motorsport 5”. Additional clients include Activision, The Discovery Channel, Warner Brothers, Best Buy, National Geographic, Harpo Inc., Microsoft, MTV, VH1 and many others. He teaches the Game Audio and Composition track for both the Summer Intensive and the Masters of Music program at Seattle’s Pacific Northwest Film Scoring Program as well as writing a game audio focused blog for Andertons Music UK.